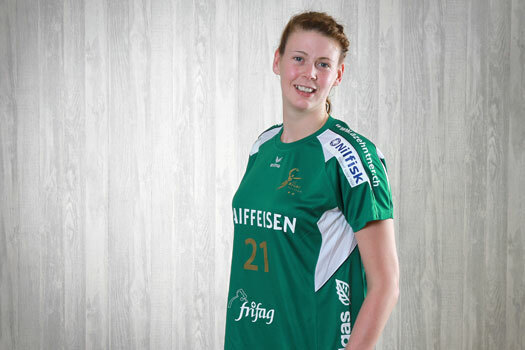 Who will take the last places in the women’s EHF Champions League 2012/13? The only certainty is that FTC Rail Cargo Hungaria are through to the main group stages, the other four qualification places will be decided tomorrow. The Hungarians followed their 40:26 first leg win over IUVENTA Michalovce with 31:22 one to ease to a 71:48 aggregate win – for everyone else there are finals to be played. In Viborg it is Viborg who will play Vistal Laczpol Gdynia and the hosts must be favourites. Byasen Trondheim are another host who is through to their final and they face Buxtehuder of the Bundesliga – again I’ll back Scandanavia. The third group also saw the hosts proceed to the final: Cluj came from behind to overwhelm their Turkish opponents 34:26 and they now face Rostov-Don of Russia. I’ll back the Russians. In the wild card tournament it’s two games played and one to go. Leipzig beat Issy Paris Hand by 5 but then lost by the same margin to Zvezda Zvenigorod. Tomorrow Issy play Zvezda. A Zvezda win in front of the French crowd would make it simple but if the home side win then we’ll be looking at points difference to see who proceeds. Again, I’m going for a Russian win though. On a final note, the #battleofbritain twixt Holly Lam-Moores of Viborg and Kathryn Fudge of LC Bruehl finished even at 3-3 even though Viborg won the match 30:14. From the northern tip of Europe across fifteen countries to the Balkans the focus this weekend is on the final qualification for the main group stages of the women’s Champions League. And there is actual British involvement to look at as well as Holly Lam-Moores and Kathryn Fudge will be Great Britain team-mates turned club opponents in the tournament in Viborg. There are five places up for grabs. Three will come via “qualification tournaments”, one via a Wild Card tournament and one via a two-legged qualification knock out. Win your event and you’re through to the Champions League; the losers enter the EHF Cup Winners Cup. Tournament 1 is in Viborg, Denmark and it is the hosts who are firm favourites. They are up against Bera Bera who were runners-up last year in Spain, the Poles of Vistal Laczpol Gdynia and the Swiss team LC Bruehl. Bruehl is home to Kathryn Fudge; Viborg to Holly Lam-Moores – and intriguingly those two teams meet in the semi final on Saturday. I’ll eat somebody’s hat if Viborg aren’t elevated to Group D of the main draw by Sunday evening regardless of who finishes ahead in the personal #battleofbritain between our girls. Group D, incidentally, features Buducnost of Montenegro who won the Champions League last year. Tournament 2 is in Trondheim, Norway and the press pack from the EHF tells me that the hosts are favourites. Their semi final is against Metalurg (Macedonia) who could pull of the neat trick of being in both the men’s and women’s Champions League if they were to qualify. The other semi will be between Dalfsen of the Netherlands and Buxtehuder of Germany. Whoever wins the first semi final should see off whoever wins the second. The third tournament is hosted by Cluj of Romania and is something of a group of death. Despite being hosts Cluj will have to go some to qualify. They should get past Turkish opponents in their semi final but then they will face either Rostov-Don of Russia or RK Zaječar of Serbia both of whom are packed with internationals (oddly from Spain in the latter case) and should get past whoever they face in the final. Then we have the Wild Card tournament which is a round-robin affair being hosted by Issy Paris Hand who have never reached the Champions League and who are in the tournament because the French champions, Brest, withdrew once the French federation refused their licence. They have to get past Zvenigorod of Russia and the Germans of Leipzig. The Russians finished third in their league but are probably the strongest of the squads on display. Finally, we have a two legged play off, the first match of which has already been played. Slovakia’s IUVENTA Michalovce lost 40:26 at home to FTC Rail Cargo Hungaria. I think we can assume that it is the Hungarians that will be joining Larvik, Volgograd and IK Savehof in Group C of the main stage. 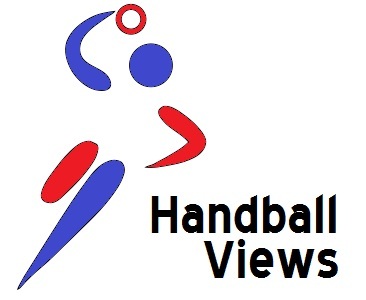 There don’t appear as yet to be any confirmed internet streams of the games – although Romanian women’s handball can often be found via means that this site can’t endorse. Remember though, the main group matches will all be available via ehftv.com which is legal, free and lovely.